Netvibes was covered in a recent entry about Search Tools To Monitor Brands. It is one of the personalized homepage providers that is gathering a lot of iGoogle-migrants. Look at benefits of other products. These aggregators tend to be similar in terms of the freedom to place news pods in multiple tabs which allow for customization i.e. news, sport, social media, etc. They normally have a preset menu with links for the most popular websites. igHome : Their presets menu bar mostly contains Google products. Clean design and a gadget directory made of local-to-international content providers of RSS feeds worth looking at before deciding. ProtoPage : “Add Widgets” button provides their list of content providers, bookmarks and RSS options. The revamped My Yahoo has nice graphics, refined gradient choices and a clean feel. Symbaloo offers great visuals based on square app icon look, enough space for organization. It includes a variety of preset categories like “Men’s or Women’s Lifestyles” with themed packages full of links. 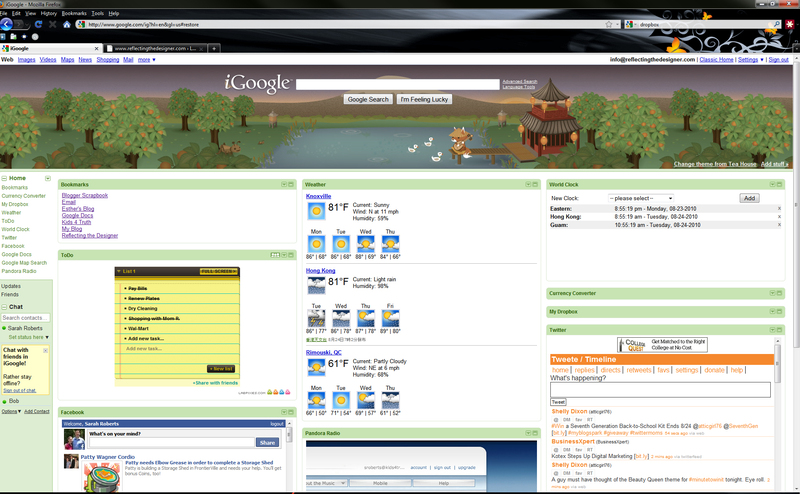 Symbaloo’s visual simplicity and flexibility. MyFav.es is particularly elegant. It is designed for the mobile gadgets. MyFav.es has an elegant interface. “Awesome New Tab Page” ranks among good personalized homepage providers for fans of Chrome …it is starting to look like Windows 8. Is this Chrome or Windows 8? Ustart is a “dot org” that offers cool imagery for backgrounds. It feels like an email inbox with a widget collection. Hinto is a “dot co” limits the users login options to Facebook. StartMe does not stand out. Retooling other storage services like Feedly, Pocket or Instapaper may be an original solution for flexible types. Other personalized homepage providers are: MyMSN and MyWay. iGoogle is gone, time to move on.